On Friday morning the world awoke to the news that the UK had decided to leave the EU. The same day saw currencies, stocks and bonds plunge across Africa, and a slump in oil and other commodities. 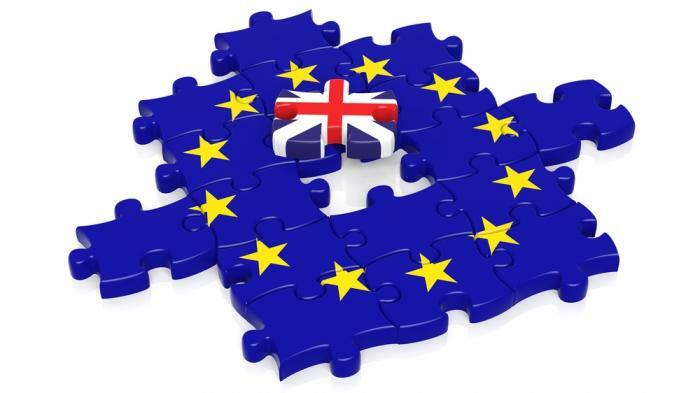 From an African point of view, the immediate aftermath of Brexit has exacerbated problematic trends in international markets which have already hit African growth prospects. African currencies slipped against other currencies like the USD and Yen but of course gained against the GBP. Further, in the aftermath of Brexit, some African Eurobonds plunged with yields rising for Nigerian, Ethiopian and Rwandan Eurobonds. If one were to trace some of the short and medium term effects of Brexit on Africa, the departure of the UK from the EU complicates African access to EU markets. Countries and businesses that were using the UK as a point of entry for their goods into the EU will have to find new partners in mainland Europe. Further, any trade deals that African countries had with EU will have to be renegotiated with the UK as a standalone entity. Although it is unlikely that the UK will effect drastic departures in terms of trade deals with African countries, the process of re-negotiation will take a period of time during which African exports to the UK will be negatively affected due to the uncertainty in the limbo period. Closer to home, Kenya’s horticultural sector, particularly cut flowers, will suffer. Flowers are one of Kenya’s top exports and the UK is a major export destination. Thus again any trade deals that Kenya had negotiated with the EU will stall with regard to the UK because of Brexit; and this may well translate into losses in the short to medium term for those firms. Another example of how Brexit will negatively inform access to EU markets for African goods is the case of Kenyan tea. If Brexit leads to the tightening of access to the EU markets for UK goods, Kenyan blended tea exports will suffer because the UK has been a major re-exporter of Kenyan tea into EU markets. UK appetite for Kenyan tea was informed by this re-export function thus with Brexit, the UK may possibly lose easy access to EU markets which may lead to a cut in the volumes of tea the country imports from Kenya. If one looks at the effect of the weakening of the GBP, Africa will be affected. Firstly, African exports to the UK will be more expensive for UK consumers and this may dampen their appetite for African products. Further, with a weaker GBP, Kenya will become a more expensive tourist destination which will negatively affect a sector that has already been under-performing as the UK is an important source of tourists for Kenya. On the other hand, a weaker GBP will be good news for an import economy such as Kenya as imports from the UK will be cheaper. More broadly, if Brexit triggers a UK recession, there will be a more medium to long term problems with which Africa will have to contend in a context where African growth is at its slowest for decades. Not only will there be dampened appetite for African exports thus muting trade, FDI from the UK will also be negatively hit, the latter of which is particularly bad news for Nigeria for which the UK was the largest source of FDI in 2015. Further, remittances from Africans in the UK are likely to drop if the UK economy slides into a deeper recession. In terms of development assistance, it is unlikely that a new, post-Brexit government would drastically alter UK’s commitment to spend 0.7 percent of its gross national income (GNI) on development aid, but a struggling UK economy would translate to a decline, in absolute terms, in the amount of aid Africa will receive. Another key negative effect of the UK leaving the EU is that the country has been a proponent of African interests on certain issues in the EU. For example, the UK has been a voice in the EU calling for a reduction of EU subsidies to farmers, subsidies that negatively affect African farmers by keeping the price of EU agricultural produce artificially low. With the UK leaving the EU, the interest of African farmers will no longer have a voice in the bloc. Secondly, a decision was recently made to cut EU funding to the African Union mission in Somalia (AMISOM) by 20 percent; the UK opposed this. The departure of the UK from the EU means that African countries will have to look at the EU anew and identify which countries can be pulled in as allies on key issues. However, Brexit can be seen as good news in this context because the UK will no longer have to live with EU decisions and regulations concerning Africa with which they don’t agree. Indeed, the UK Minister to Africa said Brexit will allow the U.K. to “focus more on our bilateral relationships with Africa” allowing the country much more flexibility when interacting with Africa than was possible while working under the EU. It will be interesting to see what the post-Brexit UK government African strategy and policy will look like. In terms of Kenyan interests, given the deep and longstanding ties the country has with the UK, aid, trade and investment are likely to continue. In fact, an analyst made the point that in all of Africa, perhaps Kenya may benefit the most from Brexit as the UK may be particularly eager to establish bilateral ties with Kenya after leaving the EU, giving Kenya exceptional leverage. This entry was posted in Africa, Development economics, Economics, frontier markets, International Finance, Kenya, Political Economy, Politics and tagged Africa, Aid, Brexit, FDI, Kenya, Trade. Yesterday I shared my initial thoughts on Brexit and the implications for Africa and Kenya. This entry was posted in Africa, Economics, International Finance, Political Economy and tagged Africa, Brexit, Forex, Kenya, Trade. The informal economy has emerged as a key theme for me this year as a development economist. The informal economy can be broadly defined as economic activity that is not subject to government regulation, taxation or observation. The reality is that although there is a general acknowledgement of the informal economy, there has yet to be a targeted and coordinated analysis of the informal economy in Kenya and I suspect much of Africa. This is not due to the fact that different organisations and businesses in society do not intersect with the informal economy in the both professional and private lives, what seems to lack is a specific effort to delineate between the formal and informal economy in analytical work. Therefore, for example, a company may assess an aspect of agriculture pertinent to their work but will not, while doing the analysis, delineate between formal and informal agricultural activity. And this is no surprise as the informal economy is messy and complex. But lack of focused attention on the informal economy translates into a reality where numerous insights on the informal economy are embedded in general research and data generated for different sectors. This lack of clarity has therefore limited the extent to which policy interventions can be designed to meet the needs of players in the informal economy who are invariably the poorer and more vulnerable members of society. In my view it is time for a greater attempt be gather data and information on the informal economy and its various sub sectors in order to better understand the features and characteristics of this economy. This delineation is particularly crucial to unlock the potential of rural Kenya and Africa in general. In a paper published last year, the International Institute for Environment and Development (IIED) makes the point that in Africa, the informal economy generates up to 90 per cent of employment opportunities in some countries and contributes up to 38 per cent of GDP in others. 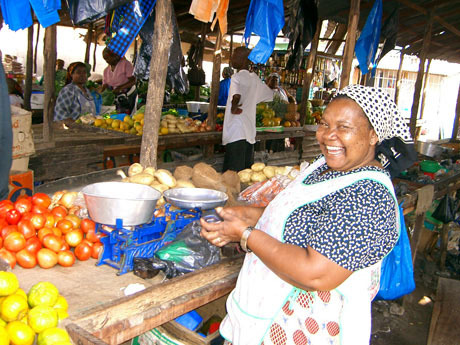 The IIED piece that specifically looks at the rural informal economy argues that the rural informal economy (economic activities performed by rural populations linked to informal trading and markets) is critical to rural livelihoods. For example, most farmers across Africa rely on informal networks to access their markets and communities diversify their income beyond farming (non-farm work) mostly in the informal sector which accounts for 40–45 per cent of the average rural household income in the region. Further, as non-farm work is associated with higher income and wealth, informal activities may offer ‘a pathway out of poverty’ in rural Africa according to some analysts. But the informal economy is still viewed as a pariah because it is labelled as inefficient, unregulated, and as IIED aptly states, the informal economy is equated with illegality and thus faces strong pressure to formalise. My view is that addressing the informal economy should not be based on the assumption that formalisation is the best way forward. The reality is that entry into the formal economy is expensive and that goods and services provided in the formal economy tend to be pricier. The informal economy is a key means through which lower income groups, especially in rural areas where there is limited access to goods and services offered by formal institutions, get access to goods and services, and at a more affordable price. Of course there is warranted concern with the lack of regulation of goods and services in the informal economy and the extent to which customers in this economy are exposed to danger, but the response of government and other stakeholders should not necessarily be a push for formalisation. Since there is a pronounced the lack of presence of formal organisations and businesses in rural Kenya and Africa in general, the informal economy is an even more important player in terms of determining the welfare of rural residents. It would therefore be prudent for actors active in rural Kenya and Africa map the features and characteristics of this economy. The first step should be the use of such data and information to design interventions that increase the productivity, efficiency and safety of activities in the rural informal economy. This may increase the income generating capacity of economic activity in rural areas and translate to great income and access to goods and services for rural populations and regenerate rural areas. This entry was posted in Africa, Development economics, frontier markets, Kenya and tagged informal economy, Kenya, rural development. When the new constitution was promulgated it was heralded as a positive for development for Kenyans as government would be brought closer to the people and local communities. The idea was that county governments domicile in counties would facilitate higher levels of transparency particularly in terms of how money allocated to county governments was spent. Under the new constitution, there is an allocation for counties by National Government, the equitable share which is a single, unconditional block grant to carry out devolved functions. This amount is meant to increase year on year, and the Budget Policy Statement for 2016/17 proposes increasing the unconditional transfer to counties from KES 259.8 billion to 284.7 billion. Is this enough? The World Bank has stated in the past that county governments have benefitted from an allocation of one-fifth of the total national expenditure, or an equivalent of 4% of the Gross National Product which is more than was negotiated when the August 2010 constitution. However, counties are always fighting for more money for ‘development’ but let’s take a look at county level spending patterns. The report by the Controller of Budget (COB) states that for the Financial Year (FY) 2015/16 aggregate approved county allocations which of which 55.3 per cent was allocated for recurrent expenditure 44.7 per cent for development expenditure. However, as of the half-year review of expenditure, development expenditure stood at an average 26 percent despite being allocated 44.1 percent. Kwale had the highest use of development expenditure at 61.5 percent and Taita Taveta lowest at 0.1 percent expenditure on development. In terms of the major cities, Nairobi development expenditure stood at 20 percent, Kisumu at 21.1 percent and Mombasa at 25.6 percent. All the major cities had development expenditure below the national average and well below the allocated 44.7 percent. An additional challenge is that counties seem to be having trouble absorbing funds allocated. As of the half-year review, counties had an absorption rate of 31.3 per cent of the total annual County Governments’ budgets. The absorption of development funds was particularly low at 19.9 percent, a decline from an absorption rate of 21.9 per cent reported in a similar period of FY 2014/15. Thus we see a core spending pattern at county level where development expenditure is lower than was allocated in terms of percentages allocated and a very low absorption rate of development funds in particular. This is a troubling trend as it is the development docket through which new services can be developed to make access to basic services more available to the citizenry as well as stimulate more economic activity at county level. In my view poor absorption levels are a reflection of a basic lack of capacity in county governments. Even the COB notes that some counties do not have designated administrators for public funds making the operationalization, administration and accounting for the funds difficult. If even managing public funds is challenging, clearly county governments need support in determining what development projects should be funded and the implementation thereof. It would be useful for organisations active at county level to work with county governments to conduct a skills audit at county level to see what talents are domicile at county level. This should be followed by an audit of the skills required for development projects so that the key skills requirements and gaps are clear. What do development projects need? Quantity surveyors, accountants, engineers? The audits are crucial. This can then be followed by a more structured strategy to acquire the skills required to move development projects at county level forward. It is time for the pattern of a failure to use development funds to stop because this continued failure will translate to a general failure of devolution to generate the development dividends it was designed to create. This entry was posted in Development economics, Economics, Kenya, Political Economy and tagged absorptive capacity, County Budgets, County Government, Kenya, Skills Audit. I was recently asked two questions about Kenya’s economy by a leading economic think tank active in Africa. I thought it would be useful to share the questions I was asked in order to give others a sense of the puzzles the Kenyan (and African) economy present to global research institutions. The two questions were: 1) Why is manufacturing productivity so low in Kenya? 2) Why is informality not decreasing with economic growth (in Africa)? These are great questions and reflect some of the issues I grapple with as a Kenyan development economist. My response to the issue of manufacturing productivity in Kenya was as follows; firstly there is no single story about productivity in manufacturing in Kenya. The recently launched World Bank Country Economic Memorandum(CEM) makes the point that levels of productivity vary greatly between sectors and within sectors, so there is no single story that has emerged yet. However, I do agree there are productivity issues in manufacturing in Kenya broadly speaking and these are driven by three core factors. The first is the fact that inputs such as electricity and transport are high; but an often overlooked expensive input is the high wages in Kenya. The CEM made the point that Kenya has the highest wages among peers such as Bangladesh, Cambodia, Ghana, Burkina Faso, Tanzania, Pakistan and even India. Thus if one were to do a wage to productivity analysis in Kenya, how well would we do compared to peers? Secondly is the question of poor management. Some are of the view that management is fairly good in Kenya but I differ with this view. In the past I have been part of a team coordinating surveys on management issue in companies in Kenya. What we basically found was that while Kenyans are technically competent, we lack soft skills such as good communication skills or managing staff in a manner that makes them productive, motivated and committed to the organisation. In short, there are thousands of Kenya who show up to work but have zero motivation to give the organisation their very best; and management cannot or does not know how to change this. Finally, many Kenyans in manufacturing are employed in the informal manufacturing sector which is characterised by low productivity due to poor management skills, poor education levels and the lack of access to finance, technology and innovations. All these factors negatively inform productivity in manufacturing. The second question was: Why is informality not decreasing with economic growth (in Africa)? Again there are again, three core factors informing this feature. The first of which is that there are real barriers to entry into formality. First is the expense of entry; realities such as business registration and licensing are expensive and laborious processes. Secondly, formality is also linked to expensive compliance requirements such as paying (high) Kenyan wages, complying to inspections, and of course, taxation. Running a formal business is expensive and on the tax issue, informal businesses are yet to be convinced that they will benefit from formalising and entering the tax net. What benefits do they accrue in return for paying taxes? A clear case has yet to be made to them. 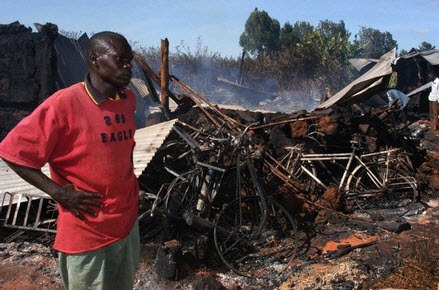 Finally, for many Kenyans starting a small informal business is often a last resort. We all know the story of the graduate who has tried to get a job for years and has failed. As a result such a graduate opens their own small business in order to make some income, however little, to maintain themselves as they keep looking for a job. Such a person may not have the desire (or resources) to start a formal business as the business is not their true passion or career focus area. Why would such a person formalise their business? This entry was posted in Africa, Economics, frontier markets, Kenya, Political Economy and tagged informal economy, Kenya, management, manufacturing, wages. Politics in Kenya has a ripple effect on the economy. Due the post-election violence that followed 2007 election, the country’s GDP growth fell from a high of 7 per cent to a low of 3 percent. Earnings from tourism halved and according to The Economist, post-election violence led to financial losses in economy of approximately £145 million, around 1% of Kenya’s GDP. Further, studies estimate the post-election violence had long term effects and over the period 2007-2011 per capita GDP was reduced by an average of 86 USD per year, which is massive considering Kenya’s per capita averaged about $980 over that period. Another study suggests that in 2009, per capita GDP in the Kenya was estimated to be about 6 percent lower than if the instability had not happened in the first place. The World Bank is of the view that political risks to economic growth are ranked equally to growth risks posed by shocks in the global economy such as the debt crisis in the European markets. So what happens in Kenya’s political arena has economic consequences. And the effects are not only related to GDP growth, other economic effects result from politics. The Eurobond debacle that started last year where government was accused of the mismanagement of the proceeds from the Eurobond is bound to make financing for the government more expensive. Yes there are other factors at work such as the recovery of the US economy which will make financing more expensive in general, but it would naïve to assume that the politicization of the Eurobond issue has not negatively affected perceptions of the credit worthiness of the government. When one has a young economy juxtaposed with a young democracy, there are bound to have a relationship where activity in one affects the other. More mature economies tend to be more resilient to political instability and if politics does have effect it will tend to be more closely associated with changes in policy of economic import. In fact an analyst interviewed on Bloomberg stated that in the USA, the impact of politics on the economy, except when people really mess up, is overrated. This is partly due to the fact, that as studies have shown, economic institutions such as property rights, regulatory institutions, institutions for macroeconomic stabilization, institutions for social insurance, institutions for conflict management are more mature in older economies and these are major sources of economic growth across countries. A young economy has less mature economic institutions with practitioners still figuring out what institutions, regulations, rules, practices and standards can best bolster growth. In terms of democracy and politics, more mature democracies have a longer tradition of arbitration between political parties; they also tend to be defined by ideology which makes economic policy expectations more predictable. Compare this with Kenya which has a culture of personality and tribe driven politics where there is no clear idea of the economic ideology of political parties until that party comes into power. In addition, in Kenya it has often been informally observed that the tribes that constitute a certain political administration may have members that engage in opportunistic behaviour that favour their tribes while ostracizing others; there is bound to be economic fallout from such habits. The effect on politics on economics is not unique to Kenya however; a study by the Brookings Institution found that political institutions matter greatly for incipient or young democracies, not for consolidated or mature democracies. Why? Well mature democracies have already internalized the effect of political institutions whereas new democracies need the felt presence of political institutions as part of the democratic experience. As a consequence, the impact of politics on economic performance is more visible. With this in mind, it is important that both government and opposition appreciate the import of their role and influence over the economic trajectory of the country. This entry was posted in Africa, Development economics, Economics, frontier markets, Kenya, Political Economy, Politics and tagged Africa, Democracy, Kenya, political instability, Young economy. The year 2015 was marked by volatility in Kenya’s macro-economic space, especially the forex market and inflation. The year also saw various economists such as World Bank and the IMF downgrade growth forecast for the Kenyan economy. CNBC Africa caught up with Anzetse Were, a Development Economist to unpack what 2016 could have in store for the country’s economy. This entry was posted in Africa, Capital Markets, Development economics, Economics, frontier markets, International Finance, Kenya, Political Economy and tagged 2016, debt, inflation, Kenya, KES depreciation.